Schubert, Liszt, Prokofiev, and a world premiere of a work by KCS composer-in-residence Quentin Kim are on the program as pianist Irene Kim makes her Kennedy center debut on September 8, 2012. Irene Kim earned Bachelor’s and Master’s degrees from the Peabody Conservatory, where she is currently a doctoral candidate. Korean Concert Society congratulates Ms. Kim and looks forward to presenting her Kennedy Center Debut on September 8, 2012. 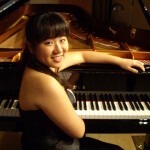 Korean Concert Society is pleased to announce that pianist Esther Park, a graduate of the Juilliard School and a current doctoral candidate at the Yale School of Music, was chosen for the 2012 Kennedy Center debut recital. Irene Kim, a doctoral candidate at the Peabody Conservatory, was named the alternate. Unfortunately, due to a conflict, Esther Park cannot perform, and alternate Irene Kim will perform on September 8, 2012 at the Kennedy Center. 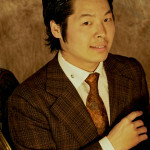 Korean Concert Society is proud to announce that Quentin Kim has been appointed Composer-in-Residence for the 2012 and 2013 seasons. As Korean Concert Society’s second composer in residence, Kim will compose a work for piano to be performed at the 2012 Kennedy Center Recital in September as well as a work for cello in 2013. 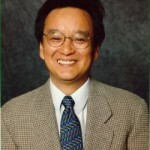 In recognition of his outstanding contribution to classical music, as a violinist and a teacher for the past three decades, developing innovative teaching methods at the Juilliard School Music, producing world-class violinists, and creating International Sejong Soloists, KCS proudly presents the Distinguished Service Award to Professor Hyo Kang.